You have the partner of your dreams, plane tickets in hand, and maybe a ring–it’s officially time to decide where to propose in Italy! An Italy proposal is inherently romantic, but it can still be hard to pick the perfect place, time and circumstances to make that transition from dating to engaged while in Italy. We’ve spent months exploring Italy’s romantic side as a couple, and if we weren’t already well past the proposing stage, here’s where we’d consider getting engaged in Italy. 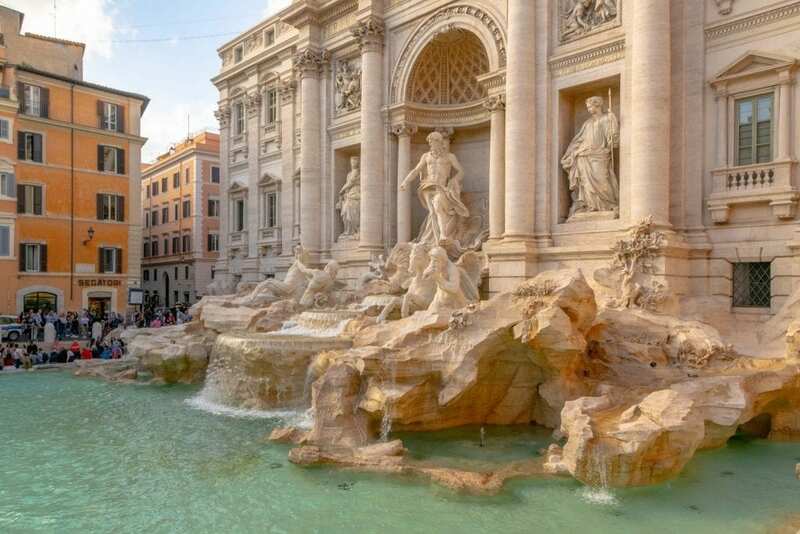 Once you’ve popped the question, be sure to throw a couple of coins in the fountain to ensure that you and your beloved always come back to Rome! Here’s a hint: when you exit the Colosseo metro stop, turn left immediately and ascend up the steps that will be on your left after passing a few restaurants. You’ll be greeted with a picture-perfect view of the Colosseum! Alternatively, if you don’t mind paying to enter Roman Forum for your proposal in Rome, head to the area in front of the Temple of Venus and Roma, which has possibly the best view of the Colosseum in Rome. 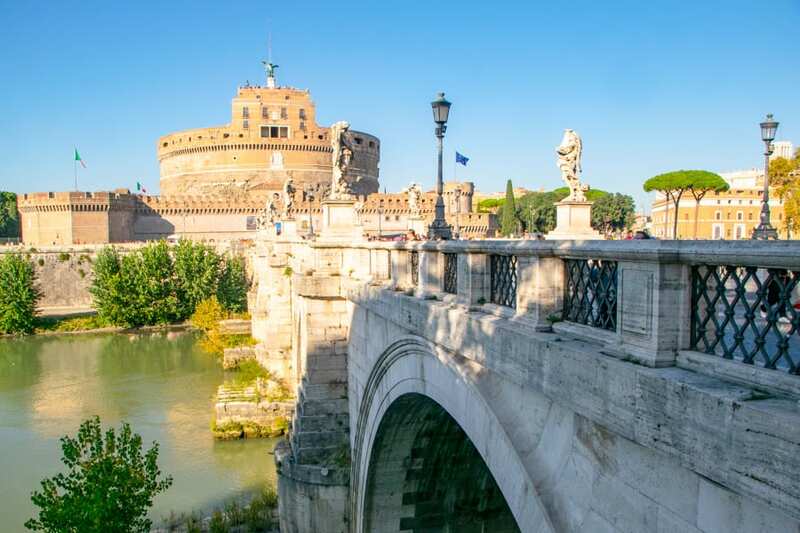 Steps away from the Castel Sant’Angelo sits the Ponte Sant’Angelo, which is lined with gorgeous statues of angels and is arguably the prettiest bridge in Rome. Add in the curving Tiber River, views of St. Peter’s Basilica in the background, and a sunrise, and it’s hard to imagine a better Rome proposal. Rome may be one of the most visited cities in the world, but there are endless small piazzas and streets to lose yourself in that can make for a quintessential Rome proposal without the crowds. The Piazza del Campidoglio definitely isn’t unknown, but is easily one of the most gorgeous piazzas in Rome (it was designed by Michelangelo! ), and definitely lacks the congestion of, say, the Spanish Steps. 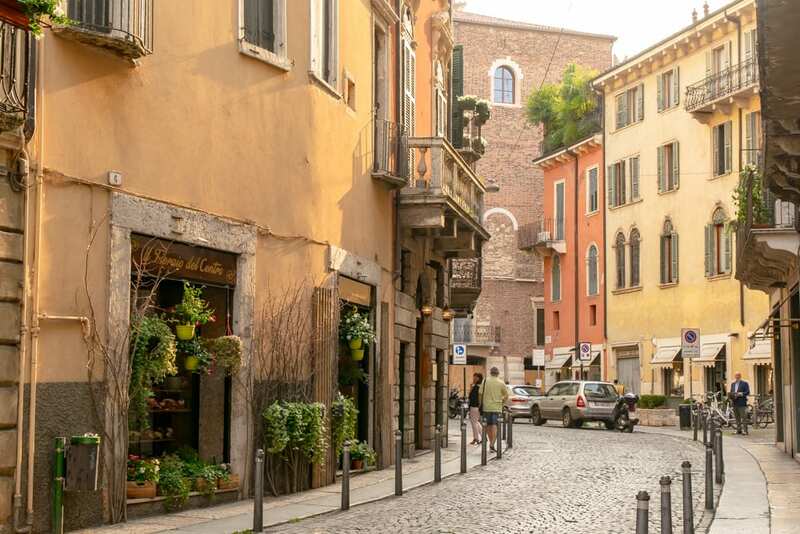 Piazza di Pietra, Piazza Mattei, and Piazza de’ Mercanti are also all great options for a quiet proposal in Rome that is far away from the crowds. 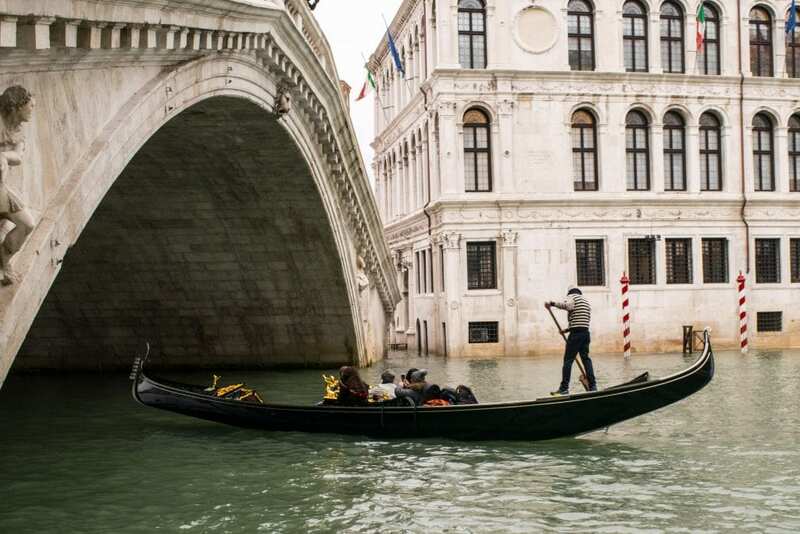 What could be more iconic than a Venice proposal that takes place in a gondola? Definitely rent out the entire gondola for the experience rather than boarding with a group of strangers, and consider letting your gondolier in on the secret ahead of time and see what they suggest as far as exactly where to pop the question. Book your private gondola ride today! Have a bibliophile for a life partner? Consider proposing on a staircase made of books! Libreria Acqua Alta’s famous book staircase overlooks a quiet canal and makes the perfect place to propose in Venice for book-loving couples (just be sure to show up early, as the area is popular!). As the oldest and arguably most beautiful bridge to cross the Grand Canal, the peak of the Rialto Bridge, with a picture-perfect view of gondolas fanning out underneath you in the wide canal below, makes a fabulous place for a Venice proposal. 3 Days in Venice in November: Was It Worth It? If you and your beloved are the quiet types who don’t want to risk witnesses to your moment but still want the magic of a Venice proposal, don’t worry: Venice is littered with picturesque bridges over tiny canals. 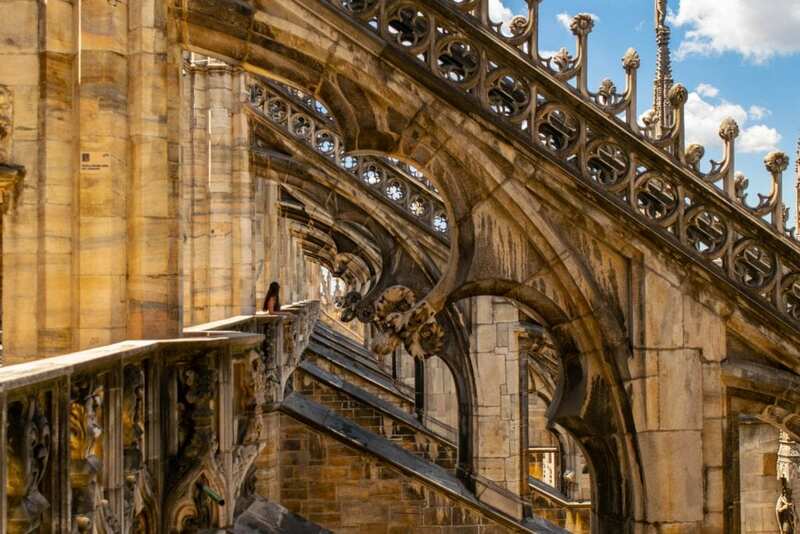 Consider simply wandering around the center of the city for a while and dropping to one knee when you find the right spot–I promise, there will be plenty to choose from. In front of San Miniato al Monte. Less crowded than the slightly less elevated Piazzale Michelangelo and boasting one of the most epic views over Florence, standing in front of San Miniato al Monte is a fabulous proposal spot–however, if either you or your soon-to-be-promised aren’t keen on having a few dead monks observing your romantic moment, don’t ascend the final staircase and instead stand a bit lower than the church (there’s a great platform in front of the viewpoint). 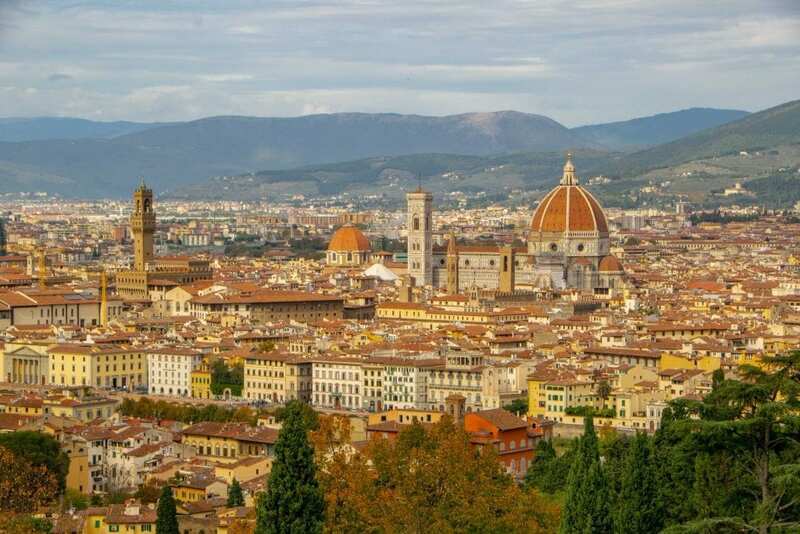 Surrounded by glittering jewelry shops and boasting beautiful views of the Arno River on either side, Florence’s oldest bridge is an epic proposal spot (especially if you’d like to shop for the ring onsite!). … Or the Bardini Gardens. 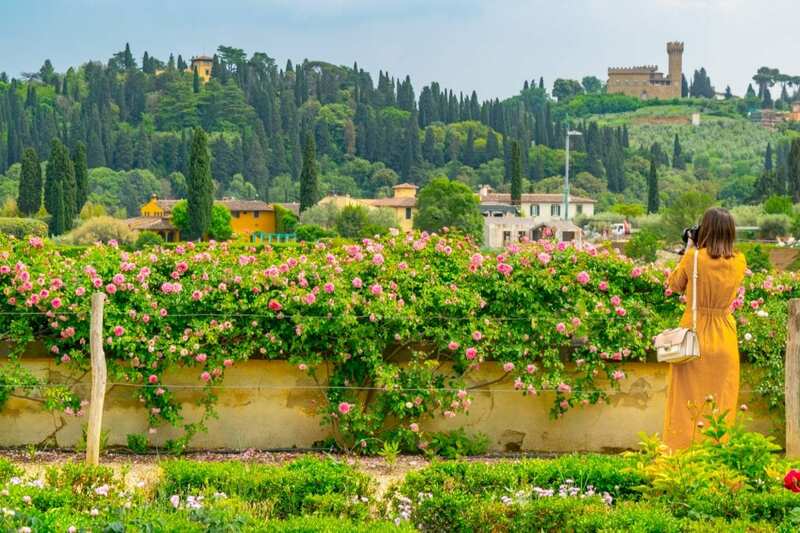 This goes double if you happen to be planning your Florence proposal in April: the Bardini Gardens feature a tunnel of wisteria that makes an incredibly romantic proposal spot when in bloom! 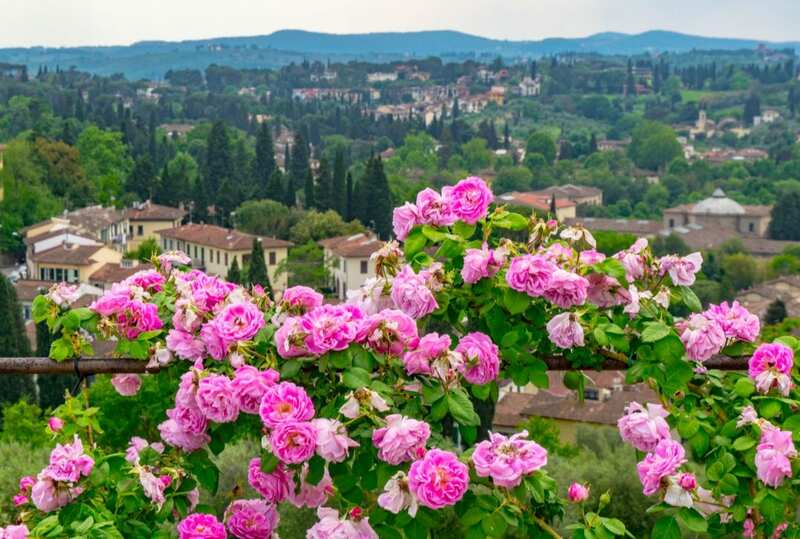 We especially recommend heading to the back of the gardens, near the Porcelain Museum–the roses and view over the Tuscan countryside combine to make the perfect place to propose in Florence. Overlooking Verona from the Castel San Pietro. 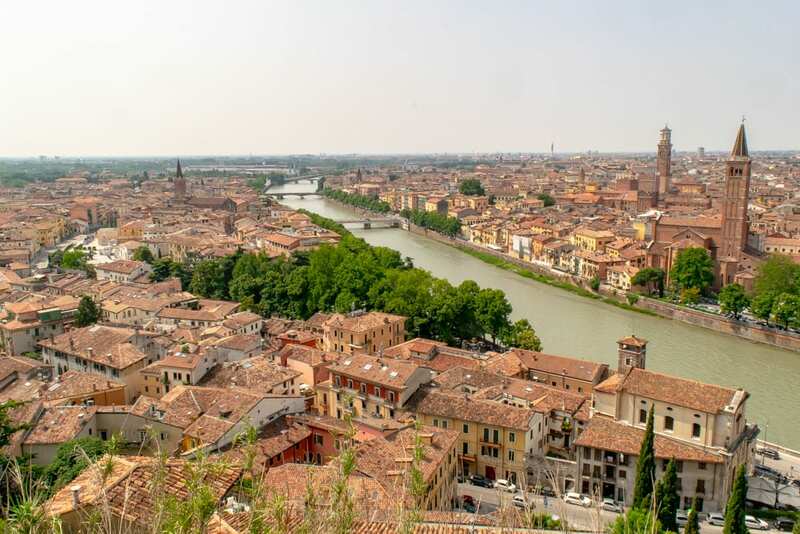 Sure, Romeo and Juliet may not be the love story that many people bill it as–but their home city of Verona is the definition of a romantic destination! 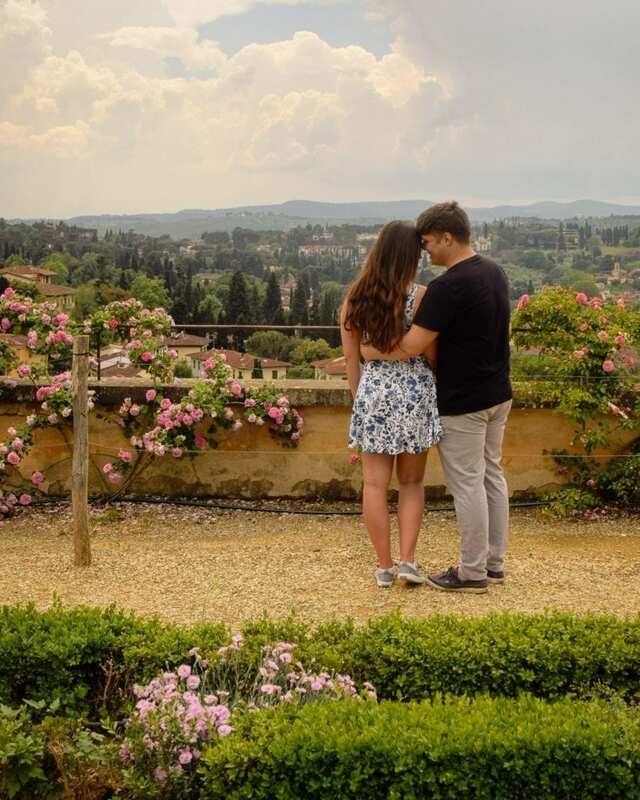 Consider heading to the Castel San Pietro with your partner to propose in Verona! The view over the city can’t be beat. While hiking in Cinque Terre. 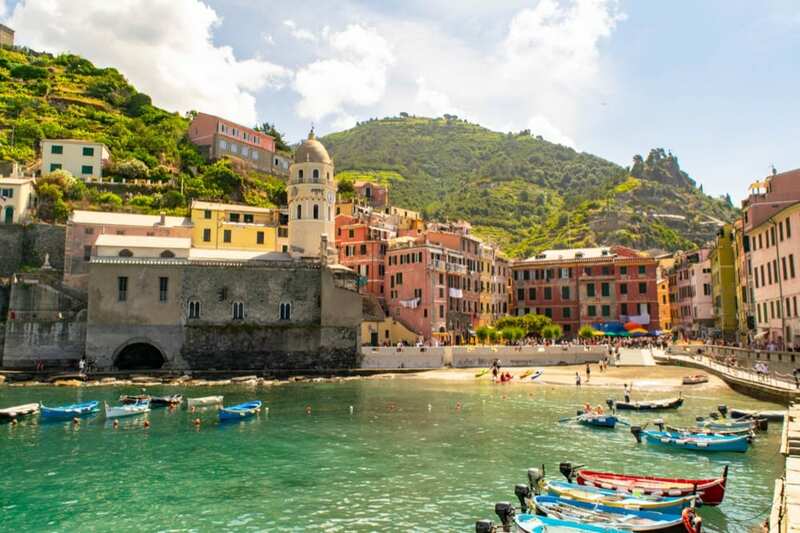 The hike through Cinque Terre is full of gorgeous overlooks that make excellent spots for your Italy proposal–the viewpoints over Vernazza and Corniglia are particularly epic. If you aren’t the hiking type (or just don’t want to propose while sweaty), the harbor in Vernazza also makes a beautiful choice. On a private wine tasting in the Tuscan countryside. The rolling hills of the Tuscan countryside, a glass of Chianti Classico, and a sunset–it’s hard to imagine a more idyllic place to propose in Italy than that! 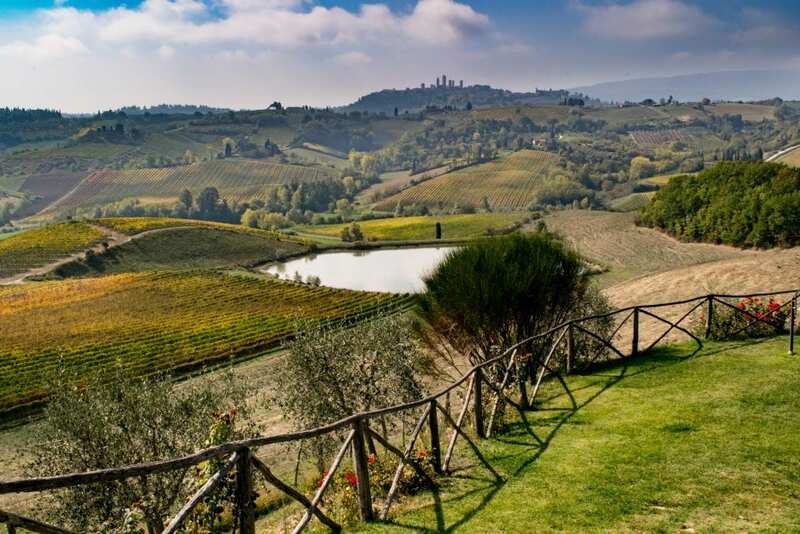 Book your private wine tour in Tuscany now! Over dinner at a Michelin Star restaurant. Want to go for a classic option with your Italy proposal? The country is dotted with luxurious Michelin Star restaurants serving up some of the best cuisines in the world–if you’re a foodie couple, consider arranging a tasting menu ahead of time and letting the staff in on your secret (just don’t forget to tip those who help!). On a sailboat near Capri. Want the ultimate luxury proposal in Italy? Hire a private sailboat and captain for the day to ferry you and your partner to the coast of Capri. Spend the day basking in the sun and views, eating seafood for lunch, visiting the Blue Grotto, sipping prosecco, and finish out the day by pulling off a sunset proposal that neither of you will ever forget. Arrange your luxurious proposal on a sailboat today! On the rooftop of the Duomo in Milan. Unlike some of Italy’s rooftop viewpoints (looking at you, St. Peter’s Basilica), the rooftop of Milan’s stunning Duomo offers enough space that it’s possible to grab a corner to yourselves for a quick proposal–especially if you get an early start to the day. Consider proposing at the beginning of your trip. Hear me out: it may be tempting to save your Italy proposal for the finale of your trip, but with all these options for where to propose in Italy, I highly recommend choosing a spot toward the beginning of your visit. By doing it this way, you can cut down on worries about losing the ring or ruining the surprise, and take the stress of wondering when/if the moment will come off of both of you. 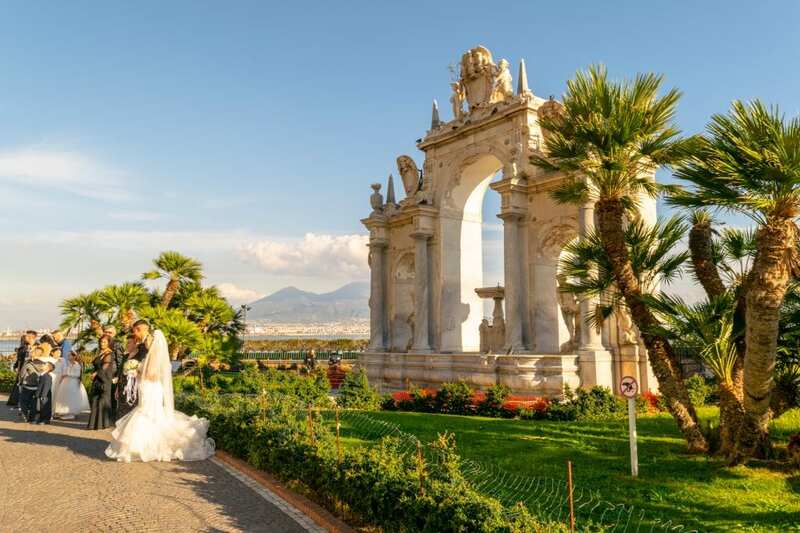 Plus, you can then turn your romantic Italy trip into a celebration of your engagement, and spend the bulk of the trip celebrating and reveling in your newly engaged status before heading back to the real world and picking up the patterns of normal life again. If you want to propose in a popular spot, consider a dawn or midnight proposal. Many of these places to propose in Italy are extremely popular–if you guys aren’t into public proposals, might we suggest a sunrise proposal (arguably more romantic than a sunset proposal and definitely less crowded) or a midnight proposal well after dinner? Both are incredibly romantic and avoid the bulk of the crowds! If you don’t bring a ring, don’t worry: Italy is the perfect place to shop. Jewelry–and gold in particular–is highly regulated and generally a lovely quality in Italy, especially if you know where to look. Of course, any stores in touristic areas (think in Piazza San Marco in Venice or the Ponte Vecchio in Florence) will include a hefty markup, but for a once-in-a-lifetime piece of jewelry, it might be worth the extra cost for the sentimentality alone. Alternatively, if you know what city you want to propose in, consider researching some reputable local jewelers and even emailing back and forth with them about prices and availability before arriving in Italy. If you want photos, arrange for them beforehand (and choose your spot accordingly). Want a secret photographer to capture the magic of your Italy proposal and your soon-to-be-betrothed’s reaction? Be sure to hire a photographer before leaving home–otherwise, you may end up frantically trying to find someone at the last moment. These days, with enough notice, it’s easy enough to hire photographers wherever you want to propose–especially in popular spots like Rome and Venice. Remember: the surprise in a modern proposal is not the if… it’s the when. I normally shy away from giving relationship advice here, but let’s just put it like this: if you pull off an Italy proposal and the answer is no, it’s going to be a long trip home. Do your ego and your relationship a favor, and make sure that the answer is crystal clear before setting off to decide where to propose in Italy!